Bourbon is America’s only true “native spirit” and has been riding a wave of popularity that hasn’t been seen in the past 50 years. The popularity has been driven by a combination of savvy marketing and a resurgence of cocktail culture. Bourbon has become so popular recently that many of its most sought after labels have become nearly impossible to find, let alone buy at the retail level. Most liquor stores can’t keep them in stock and the few retailers that do get shipments are typically only allocated a few bottles per month. 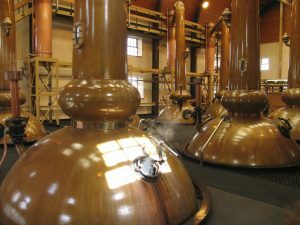 Distilleries are trying their best to play catchup to the growing demand as it continues to shoot upward.